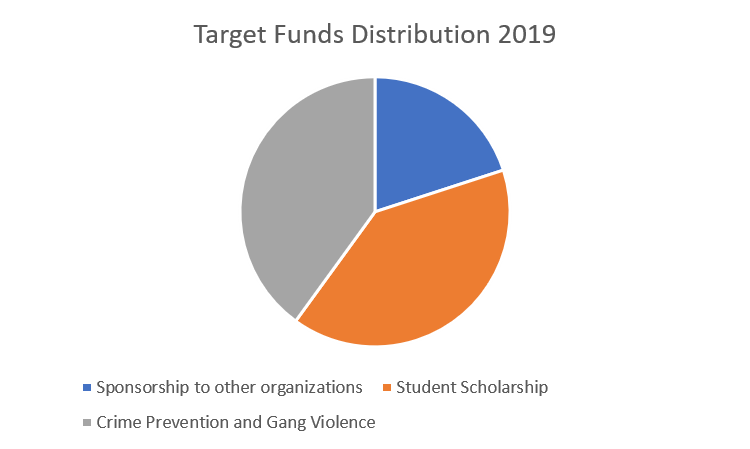 Aris Elijah Pugal Foundation supports the betterment of the youth and students, as well as programs about crime prevention and gang violence. Donations, sponsorship, and funds raised by the organization goes toward these causes. The charts below show the target funds allocation for 2019, and income sources and funds distribution for calendar years 2017 and 2018.